"An ideal location to encounter God outside the walls of the church." 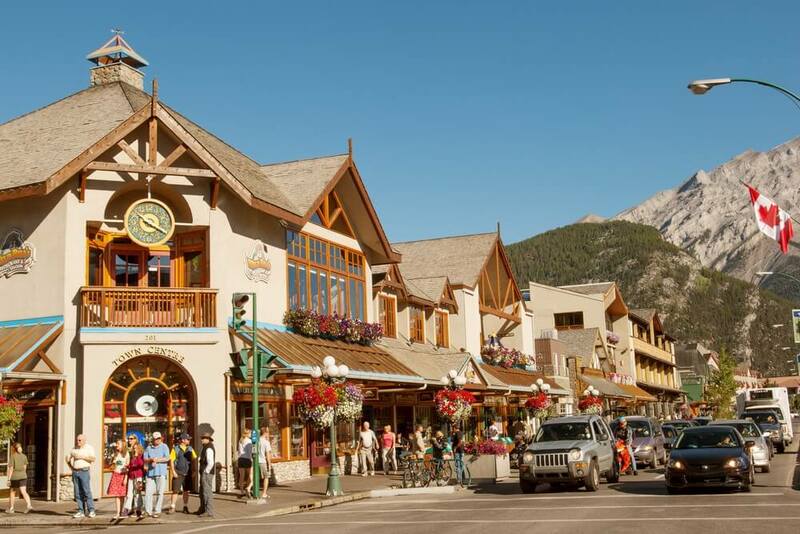 The picturesque Alberta province town of Banff was aptly named after its stunning sister city in Scotland. 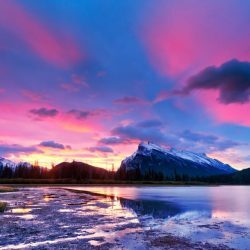 Settled entirely within the confines of a national park, Banff has long been a destination for people seeking adventure in the great outdoors. 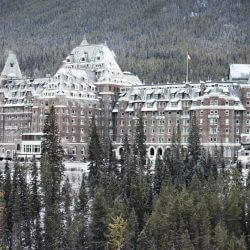 This gem in the Canadian Rockies is an ideal location to encounter God outside the walls of the church. 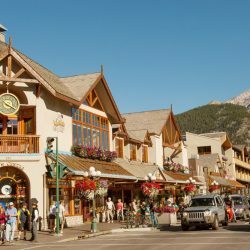 Located at the confluence of the Bow and Elbow Rivers, Banff is the largest city between the Canadian Rockies and the prairies. 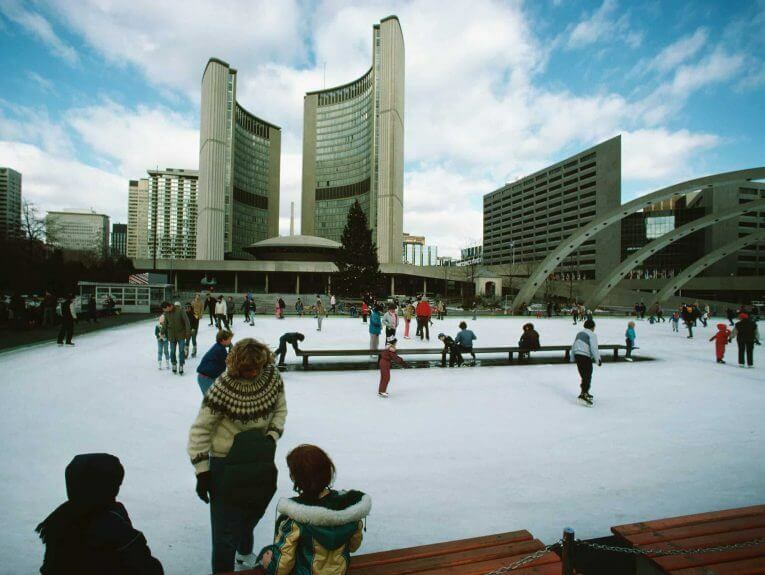 The city has a rich history predating the arrival of European settlers. 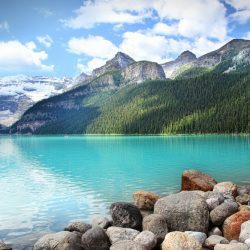 Today, Calgary is a bustling urban center that still shows traces of its roots in the cattle and oil industries, giving it the nickname “Cowtown.” Like many major cities in Canada, Calgary is home to a wonderful mixture of cultural and ethnic groups. 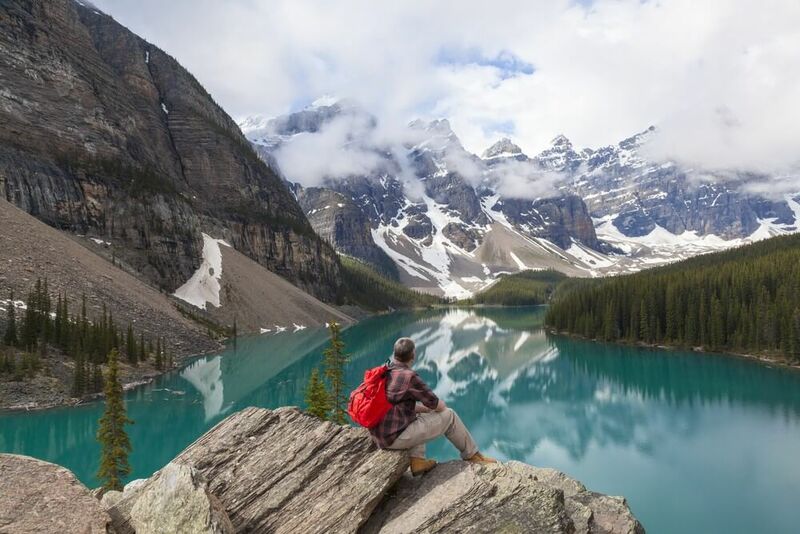 If you’re seeking a journey with both the beauty of the mountains and the bustle of the city, an Alberta Province Wonder Voyage will fit the bill. 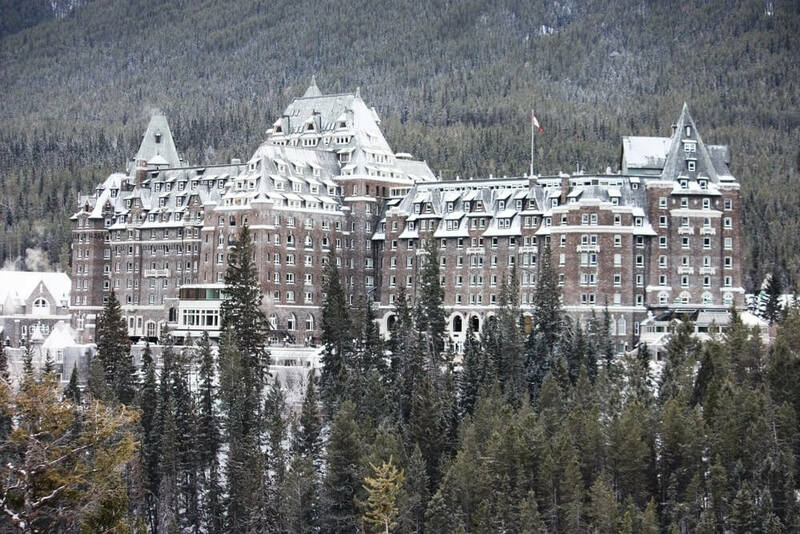 Banff and Calgary provide just the right combination of outdoor adventure and urban exploration to make this truly a journey of discovery. 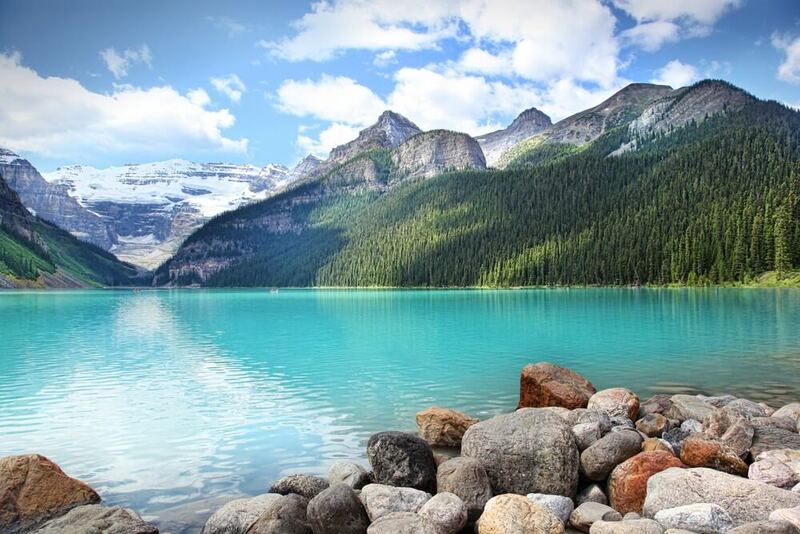 Hike through the beautiful Canadian Rockies and experience God’s outdoor sanctuary. Spend time in silent contemplation while walking the labyrinth. Worship with a local congregation. Experience the thrill of a whitewater rafting adventure. 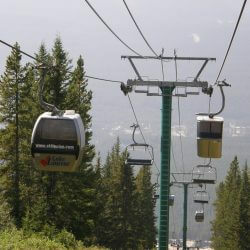 Get a bird’s eye view of Banff National Park on a Gondola Ride. Ride on a bobsled on the Calgary Olympic Bobsled course. Work with a local outreach for the homeless and hungry. 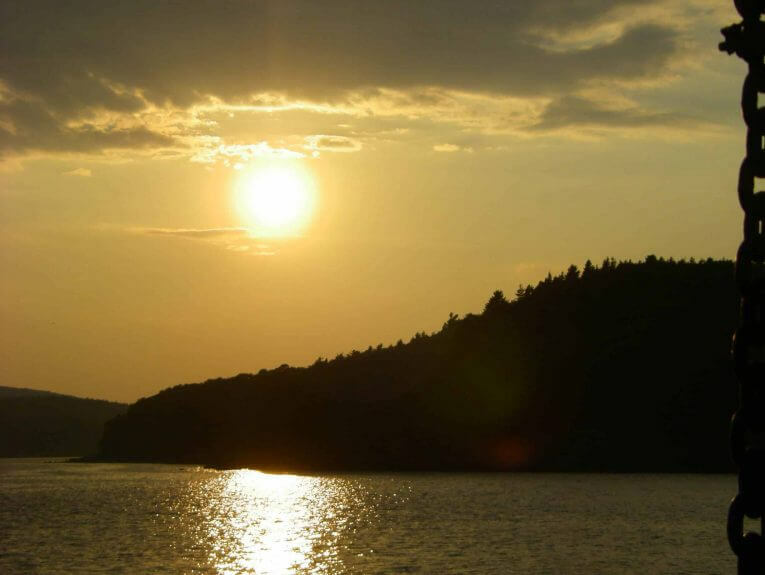 Serve with a conservation organization on an eco-project in the national park. Join the movement to enhance healthy eating by working in a local community garden. Every Wonder Voyage itinerary (mission trip and/or pilgrimage) is personalized to the desires, direction and personality of each group. This itinerary is only a description of the kind of journey we can create for your unique team. Welcome to the province of Alberta, Canada! 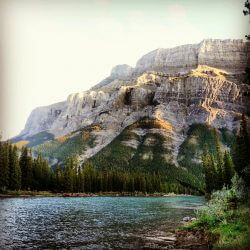 Your pilgrimage begins with a scenic journey from Calgary to the picturesque town of Banff. With a skyline dominated by the Rocky Mountains, this community is the ideal setting for a week that reminds us to take time away from the everyday and enter into the presence of God. Join us for a week of wonder and exploration as we experience God at work in a different people and culture. Naturalist John Muir once wrote, “between every two pines is a doorway to a new world.” That new world awaits us here in Banff National Park–the first national park in Canada and a UNESCO World Heritage site. We start with a visit to the Cave and Basin National Historic Site, a protected landmark and the location of the hot springs which were the birthplace of the park. This afternoon we hike local trails and absorb the breathtaking splendor of the flora and fauna. 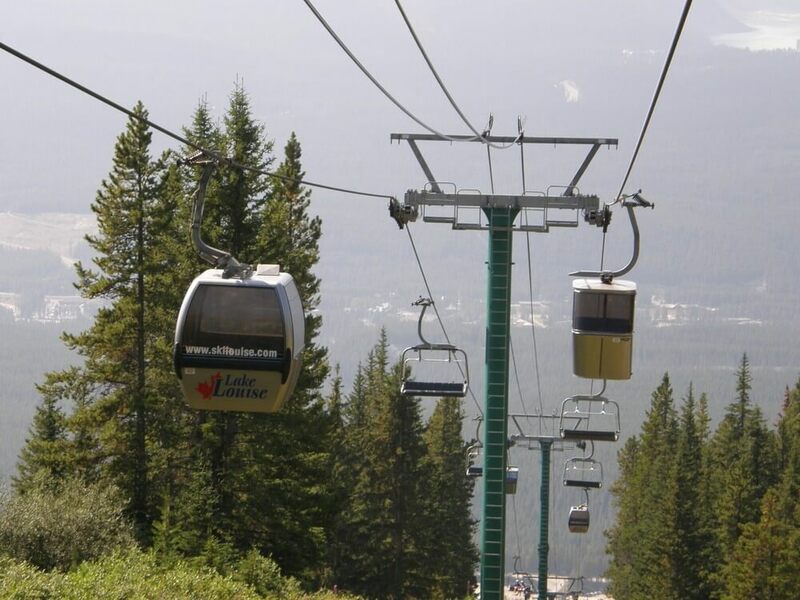 A ski lift sends us soaring in the Canadian Rockies. This offers and an unparalleled vista of nearby mountain ranges as we hike a trail to Sunshine Meadows, voted the most beautiful hike in the region. 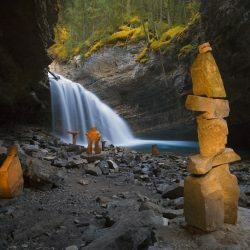 The day’s adventure draws to a close with a visit to the hot springs that have drawn all sorts of people–indigenous setters, railway workers, weary prospectors, and curious tourists–to this area for generations. Since 1889, St. George’s in the Pines Anglican Church has opened its doors to the Banff community with hope that all who entered would experience a time of “wonder, relaxation, and renewal.” We will experience these as we join with the church in celebration and communion. The afternoon will take us from the altar to the outdoor sanctuary. 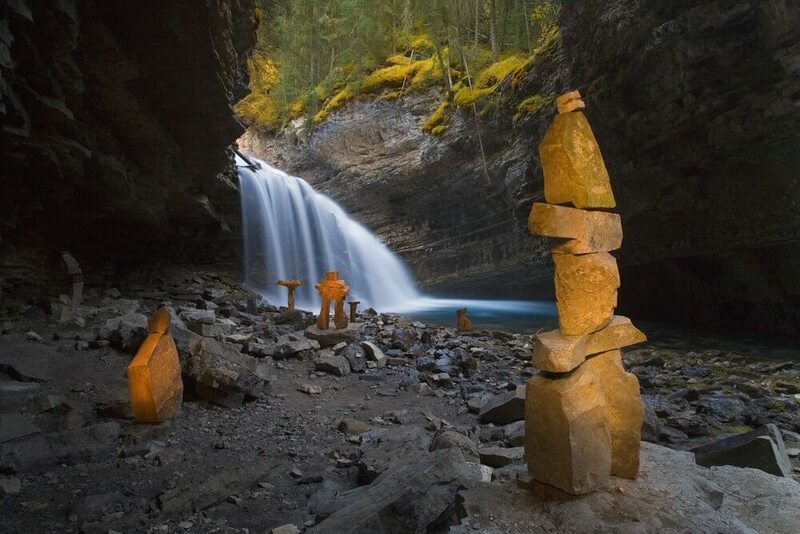 Forest trails, waterfalls, canyons and Ink Pots are all natural wonders we will discover as our journey continues on the Johnston Canyon Trail. Though we will walk together as a community, each individual will experience it in a unique way. Whether it be the sound of the water, the feel of the breeze, or the jewel tones of the mineral springs, the natural splendor of this place will create an experience that will touch the soul. 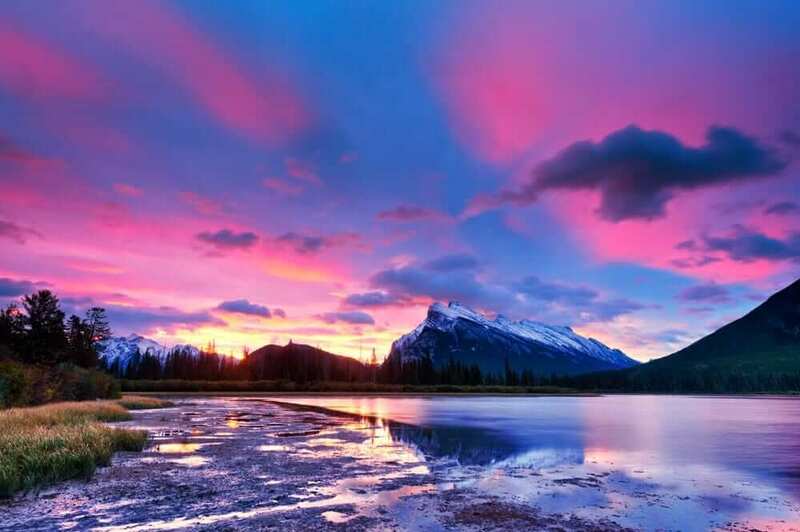 The beauty of Banff National Park is truly an inspiration. As we leave we descend through the glorious Bow Valley. How we interact with the environment says a lot about who we are. Many indigenous and aboriginal cultures hold the belief that we do not inherit the land from our parents, we borrow it from our children. With that in mind, we spend time today volunteering in a local nature preserve before moving into the bustling city of Calgary. We are all a part of history–the story of creation. Today we learn more of this story in Calgary, Alberta. After a scenic drive to the town of Drumheller, we visit the Royal Tyrell Museum, home to one of the world’s largest collections of dinosaur fossils. The afternoon leads us back to Calgary for exploration. Calgary was once known as “Cowtown” because it was the center of settlement culture. It is now the home of Canada’s thriving oil industry, and the beating heart of Alberta’s business world. Our final evening in Canada is spent in celebration, prayer, worship, and conversation. 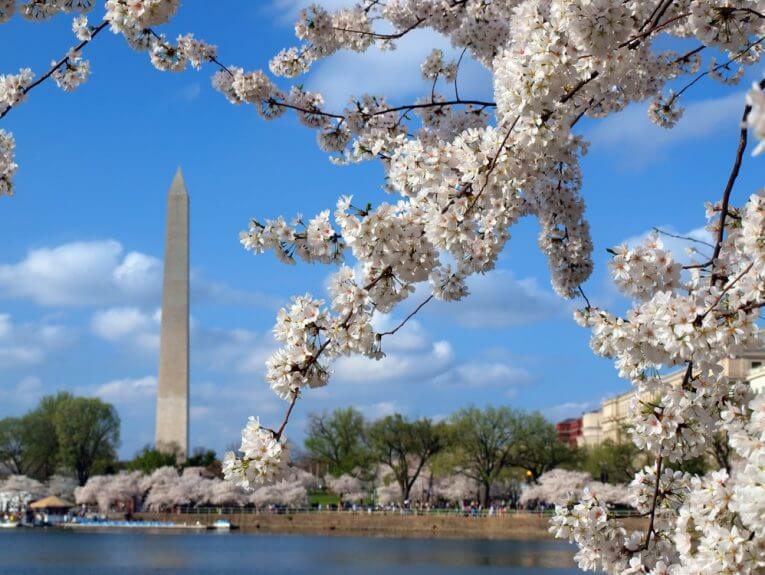 The week has been filled with exploration, faith, fun, and unique cultural experiences. Lives and hearts have been changed through discovery, connection, and service. As we turn to home it is easy to stray from the lessons learned on pilgrimage. May you accept the challenge to remain on the journey, to keep seeking, live with purpose, and remember that God is always a companion along the way.